Thanks to a grant from the Andrew W. Mellon Foundation, University of Oregon faculty members soon will have access to six new fellowships that support the use of library and museum assets in research, teaching and learning. 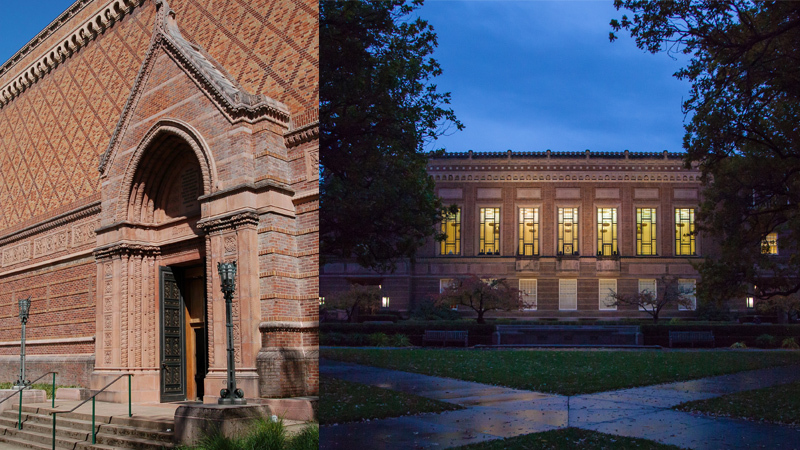 The Andrew W. Mellon Foundation recently announced that UO has been awarded $300,000 to support enhanced collaboration among campus libraries and museums. The award funds a new program to be led by the UO Libraries and the Jordan Schnitzer Museum of Art. The program will issue six Mellon fellowship grants to UO faculty throughout the initiative’s three-year duration and will provide integrated library/museum education and support services to help develop and realize the fellows’ projects. Three Mellon fellows will be selected for the 2018-19 academic year and three for 2019-20. UO faculty members interested in collaborating with the art museum and the libraries to incorporate library and museum assets into their teaching and research should watch for a call for proposals later in the term. One particular innovative aspect of the grant is the creation of the first joint library/museum position for a post-doctoral fellow and two graduate employees, who will help carry out the program’s activities while gaining valuable experience in interdisciplinary academic and cultural heritage settings. An added benefit of the grant is testing a new graduate learning model that may contribute to the professional training of emerging library and museum professionals.